Wix has long been recognized as one of the most versatile website development platforms on the planet. 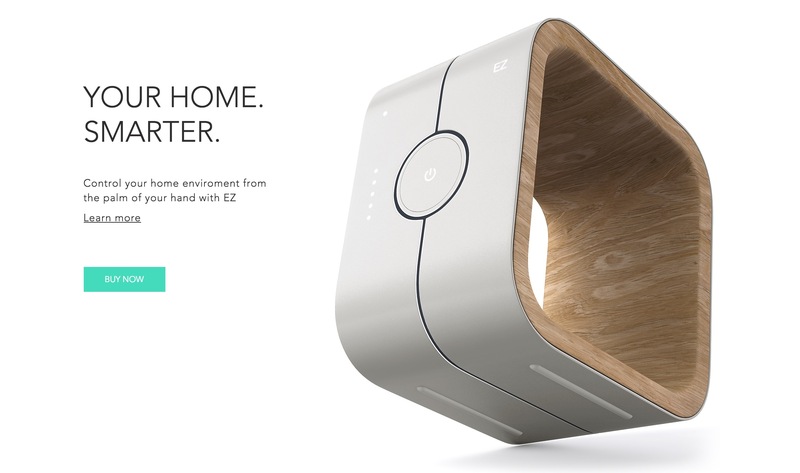 Gone are the days where the system would forgo content in favor of a dynamic, exciting design. Today, Wix is known for its incredibly dynamic plugins (or apps), robust designs, and a host of content-filled options. NOTE: New to the Wix platform? Check out our recent Wix review to learn more. 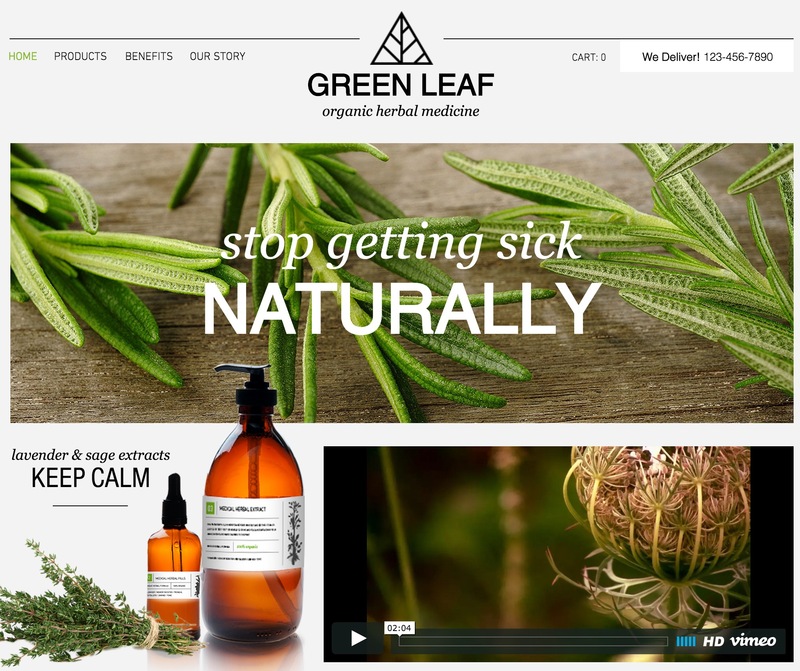 Wix is also known for their second-to-none website designs and templates. It’s no wonder that they have ranked as the top website creator in our comparison list for over a year! Why spend time reading travel blogs when you can create your own? 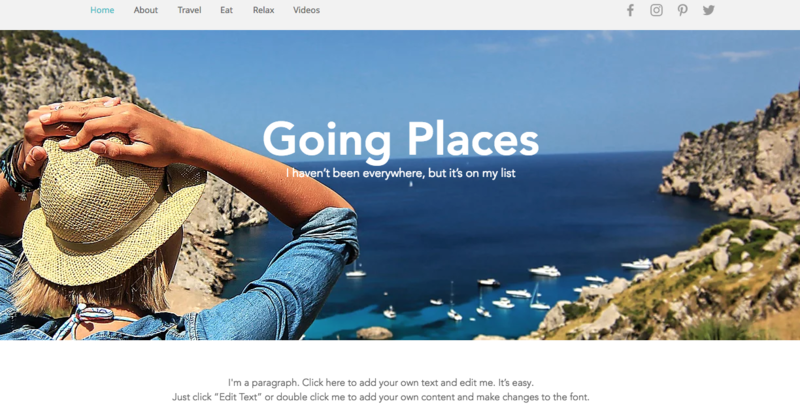 If you’ve always wanted to blog about your worldly travels, just go for it with Wix’s Traveler Blog theme. Featuring social links, a clear layout, and space for big and beautiful images, the template provides you with all of the tools you need to grow your brand and become a name synonymous with awesome journeys. Bon voyage! No, you’re not seeing things. Start From Scratch, as the name suggests, is a theme that encourages you to pour all of your creativity into building your website. Instead of relying on someone else’s design, it provides you with a blank canvas for you to do what you will. Take away all of your preconceived notions and go wild by adding anything you want, exactly where you want. It may come as a surprise to learn that the Start From Scratch theme is one of the most popular on the Wix platform, but, to us, it simply proves the fact that people strive to give their own meaning and voice to everything they do. The Personal Style Blog theme was created for those who know that fashion can be bought but style one must possess. 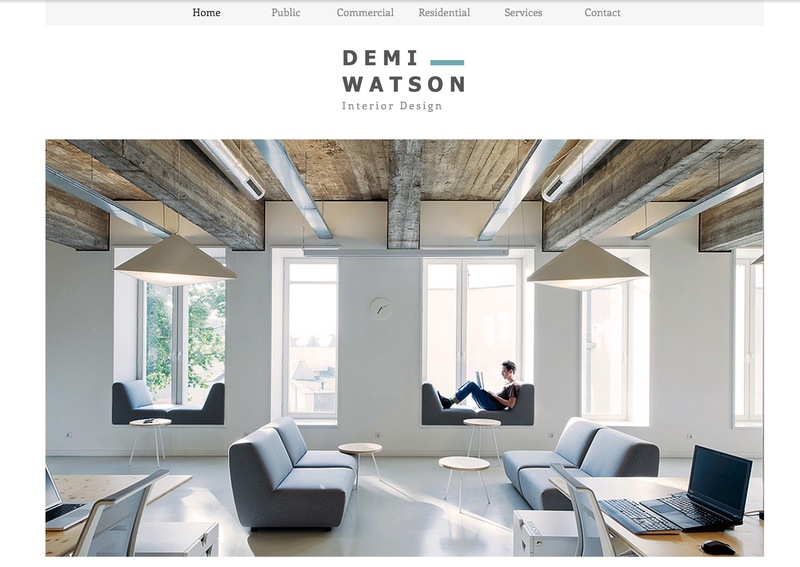 Whether you have developed your own personal brand or are looking to make a name for yourself, this content-heavy Wix template can help you do it with big photos, social buttons, newsletter signup module, and post tagging. Just promise us you won’t forget us when you’re famous! One of the most appealing aspects of the Wix website creation process is that it allows you to be as creative as you want. Themes like Classic Layout let you take advantage of all of the tools and features that the platform offers, but don’t force you to abide by a specific style. With just enough of an architecture to push you in the right direction, you will be well on your way to creating a one-of-a-kind design in no time. Most artists strive to create work that speaks for itself. The Grafitti Artist theme from Wix is simple and understated enough to enable creatives to display their work without bogging it down with unnecessary text. With an uncomplicated menu, room for a logo, sleek parallax scrolling, room to display all of your projects, and a hero image that makes a big statement, this template tells your visitors everything they will ever need to know about you without saying a word. Today there is nothing stopping a budding filmmaker from replicating the complete cinema experience. 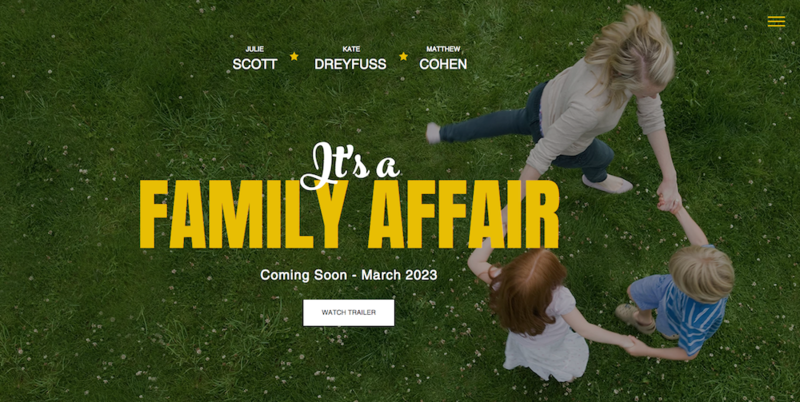 The Film Coming Soon theme from Wix enables users to create a website that would make Steven Spielberg jealous, with its headliner names, bold movie title, release date, and room for a trailer and preview text . The template is versatile enough to add some whimsy to your next home movies showing, or display your latest film festival masterpiece. Sometimes you bite off more than you can chew and begin telling people about your new marketing business just a bit too soon. You can take advantage of this situation with the Marketing Launch Page theme from Wix. Featuring a graphic that occupies the entire space, a place to display your company name boldly, and an email sign up box, you can alert your future clients of your launch and continue to update them once your site is up and running. Don’t be turned off by the name, though. The template would work equally well for any other business. Did you know that Wix is capable of creating online forums? 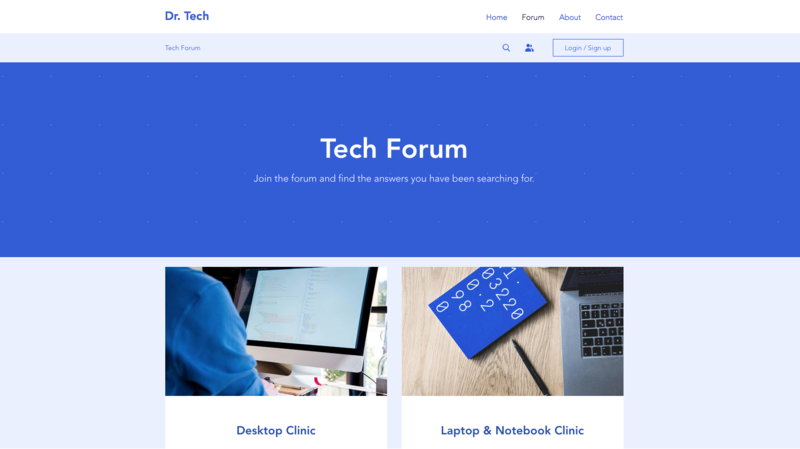 The Tech Forum template is just one of the ways in which you can create your own online social network capable of maintaining a database of users and separate threads where users can post comments, add ‘likes’, and even share posts. Become the master of your niche with a clean layout and simple design through which users can quickly find helpful answers to their burning questions. 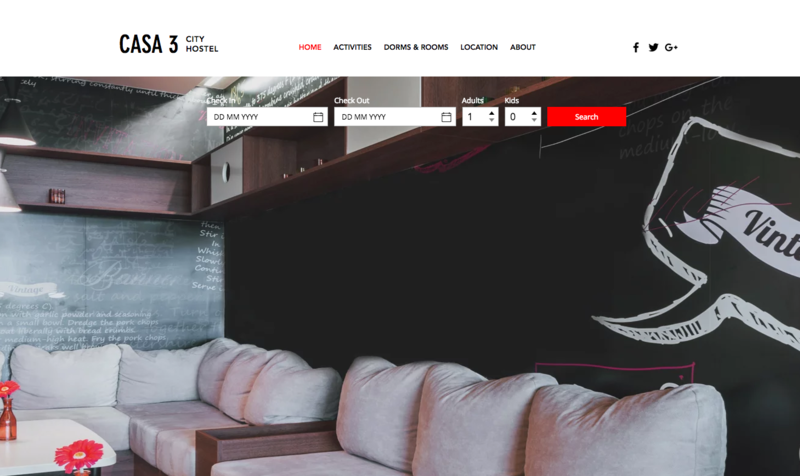 With the ability to take reservations, determine availability, and provide users with everything they need to know about the accommodations you offer, City Hostel is a great solution for hostels, hotels, bed and breakfasts, and even AirBNBs. You can even use the template to keep users informed of not only local activities, but the latest events in the area, thereby turning your site into an SEO powerhouse. The only thing on the internet that gets a more visceral reaction than cats is food. The Food Feed is a theme designed to highlight all of the amazing culinary creations you create and purchase at your favorite restaurants. 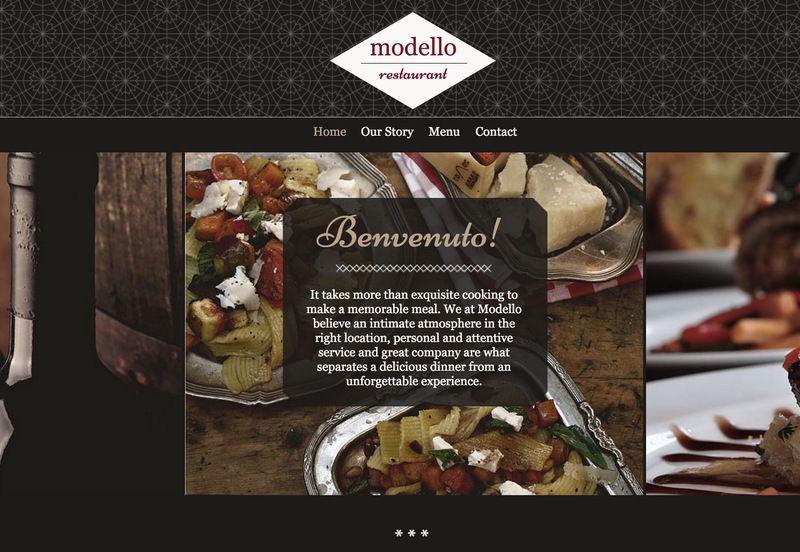 It is highly visual, letting your images tell a delicious story that will ensure you leave your visitors drooling. 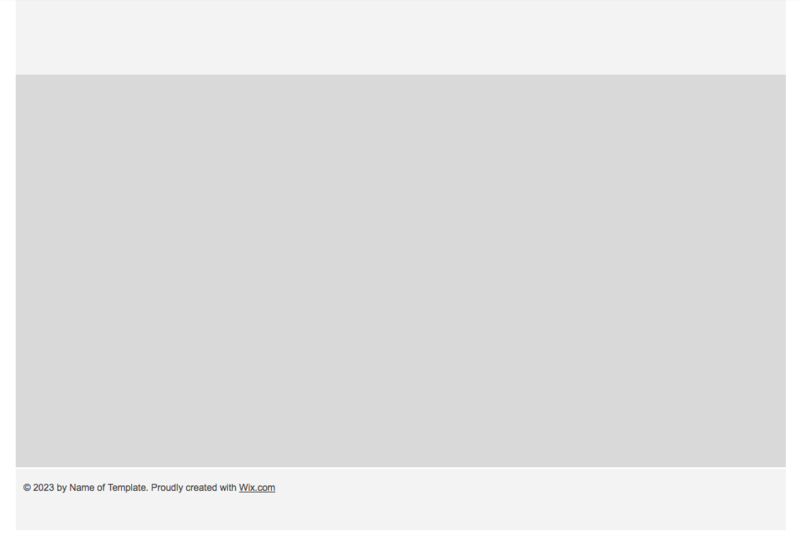 We especially enjoyed the fixed title element which follows users along the page as they scroll. The secret to good makeup is ensuring that it is hard to tell when someone is wearing it. 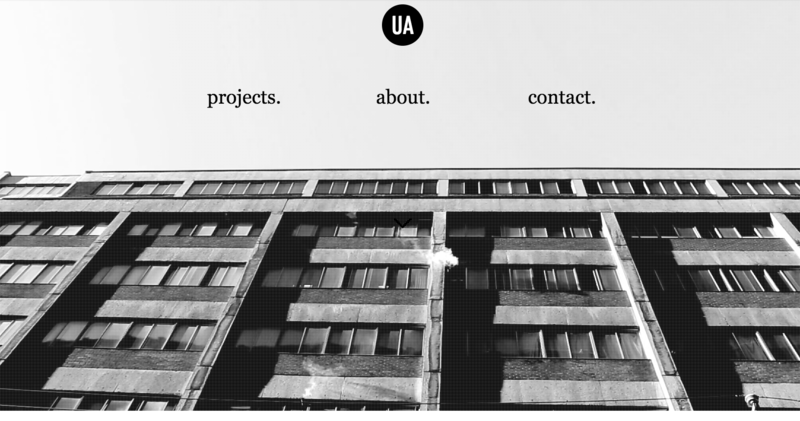 Similarly, a good website template thrives only when it is both unassuming and unobtrusive. In that spirit, Professional Makeup offers makeup artists a place to display examples of their work, take appointments, and provide a price list for their services all without the heaviness and unecessary extra features found on many sites today. The Artist is a theme designed to display and share art, but which is an artwork unto itself. 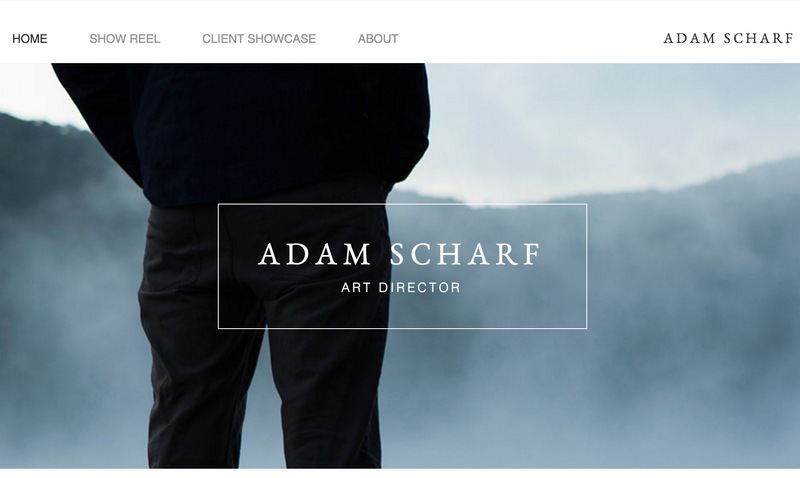 With a simple layout that highlights your best art pieces on a visual homepage, the template creates an experience beyond the gallery. Easily add new works, share information about yourself, and advertise your upcoming exhibitions with a theme that is understated and beautiful. They say that beauty is in the eye of the beholder, but the Beauty Salon theme is universally appealing. 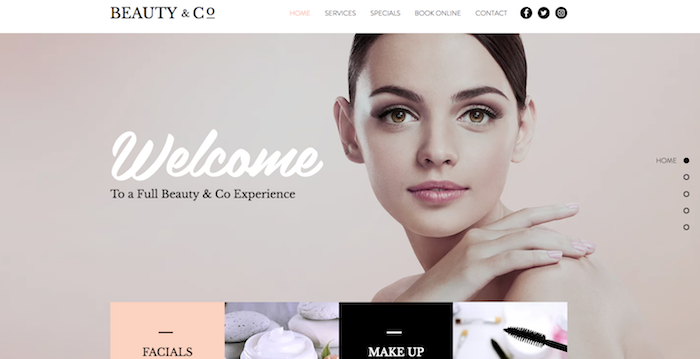 Designed with the beauty and personal care industry in mind, the template includes a booking feature that enables you to set up appointments with clients, list your services and prices, and advertise your products and specials. Social media integration helps ensure that word gets out about your services. Yoga began as a physical, mental, and spiritual practice that originated in ancient India. It is now a popular hobby for soccer moms and a class you can take for a PE credit in college. 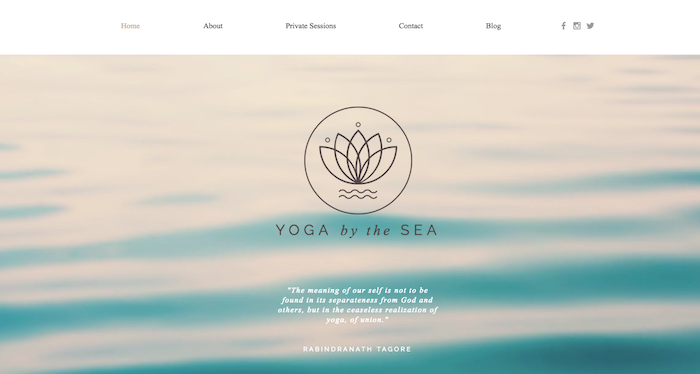 This popularity requires yogis to set themselves apart and there is no better way to do so than with the Yoga Studio Wix template. Serene and peaceful, the theme will appeal to all of your potential clients’ chakras. There are some things that people only expect to do once, the foremost of which is probably getting married. That is why it is important to find a party planner that they can trust to make an unforgetable event. 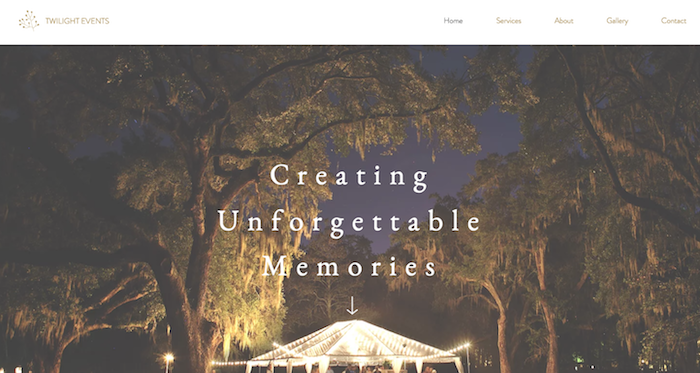 The Event Planners theme can help to begin to build trust by providing potential customers with everything they need to know about your services, including a gallery, an about page, and even a contact page. As we transition from nesters into a people who value experiences over possessions, we’ll need more things. 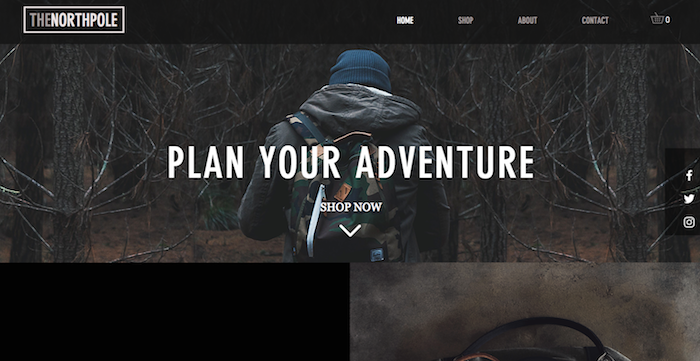 Provide the people with everything they require for their next camping adventure with a store template made specially to highlight all of the gear needed for even the toughest of expeditions. Outdoor Bags provides all of the tools necessary to create, manage, and grow your eCommerce store. Although pen and paper represent a medium that is quickly dying, there are many holdouts who yearn for the formality and professionalism that they represent. 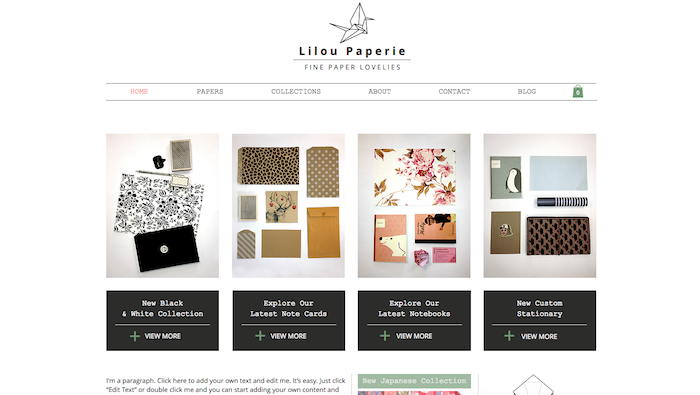 Thankfully, there are still many companies that specialize in the sale of stationery and related goods, and the Paperie theme was developed with them in mind. With a design that highlights product collections, the template is perfect for stores offering a wide variety of ranges of any good. Acting and modeling are forms of art in their own right and just like any other artform, they are worthy of being chronicled in a portfolio. 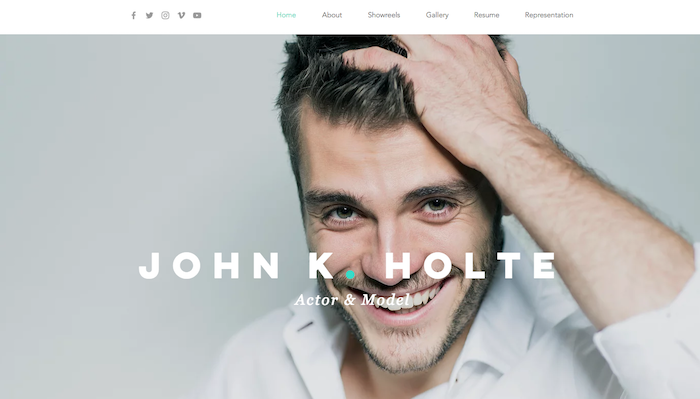 The Actor & Model Resume theme makes that easy, with a template that highlights your greatest assets. Upload showreels, add your headshots, post your scripts, and share your resume to create a brand that is as unique as you are. If you work in a field that requires you to produce a portfolio of your work, there is no better option than creating your own website. Wix is a great platform to do just that and the Graphic Design Portfolio is a great theme with which to do it. Showcasing all of your best projects on a clean grid, this eyecatching theme will give potential clients a look at exactly what you are capable of. The best restaurants have delicious food, great service, and a website that automates the reservation-taking process. 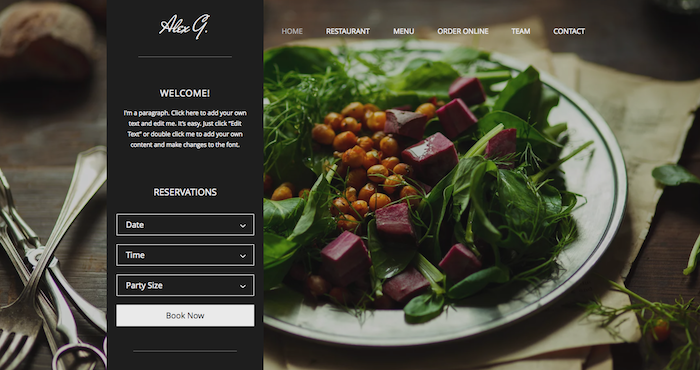 The Restaurant Site theme offers restaurants everything they need to compete in what is often called the toughest industry with a virtual maître d‘ capable of taking reservations, completing orders, and providing a menu for your future guests. Bon apetite! You’ve finally come up with the next billion-dollar Silicon Valley idea and you just remembered you don’t have a website to present to your investors tomorrow! 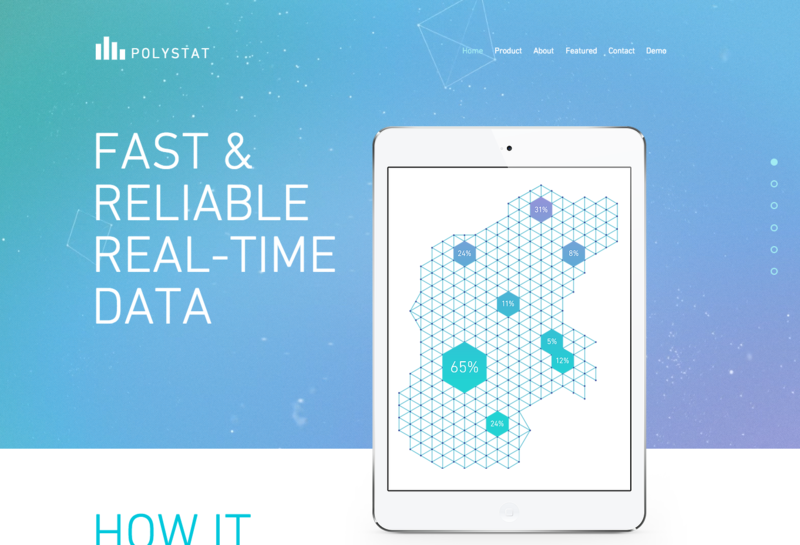 Fear not, because the Polystat theme from Wix has you covered. Featuring a beautiful, almost hypnotic animated celestial background, Polystat elegantly conveys your startup’s vision in a single page design. The equally attractive mobile site will show the world that your company is on the forefront of tech. 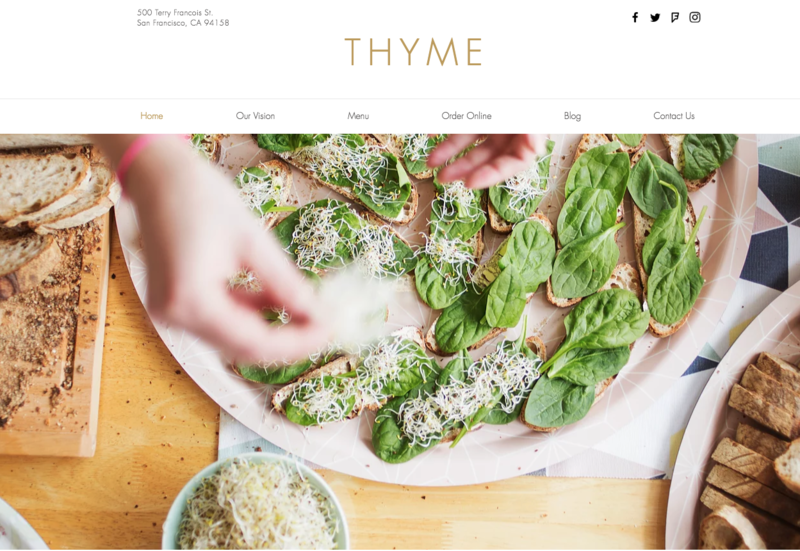 You want to create a website for your restaurant, but who has the thyme? Plant your eyes on the Vegetarian Restaurant theme! With a sleek and modern design that features only your finest images, this template is sure to bring in the green. Equipped with an eCommerce tool, a menu, and a blog, Vegetarian Restaurant offers a healthy selection of features that will keep you dishing out the good stuff for years to come. Cycling has never been bigger, and if you’re a stockist looking for a platform to sell from then it’s a good idea to take a look at the Bicycle Store theme. The navigation emanates sales, although the main image might not be suited to your services in particular. Thanks to the drag and drop potential, it’s easy to modify the background photo or adjust it using the HTML5 compatibility that comes included when downloaded. 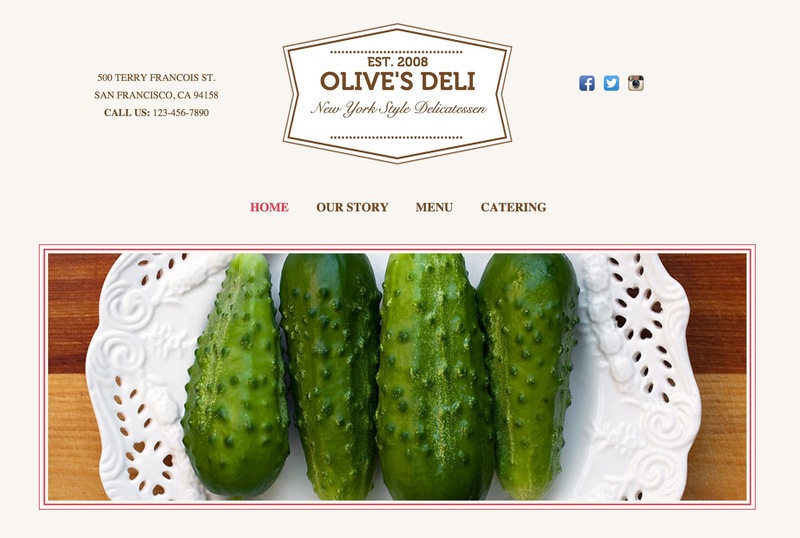 Restaurant and food templates seem to be a pretty big deal for Wix designers, and that’s never been clearer than when considering the Delicatessen theme. It is responsive enough to cater to certain devices (like tablets and higher-grade smartphones), but it’s not as responsive as others that we’ve come across. The style is also pretty common for delis and fast food restaurants, but if you’re into that then you already have a great starting point. If all employers could emanate fun and professionalism then it would be much easier to create a website to reflect those things. 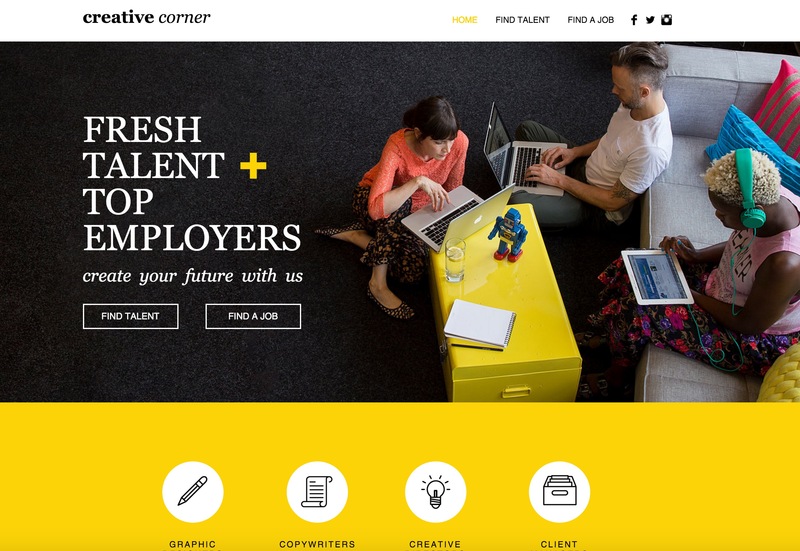 In instances where it’s not as straightforward to generate excitement just by possessing these qualities, the Creative Staffing Agency Wix template steps up to the mark – and it’s never been easier to promote your services, compel an audience and encourage productivity. Forget the name of this template – the layout is actually versatile enough to suit any particular niche or product. 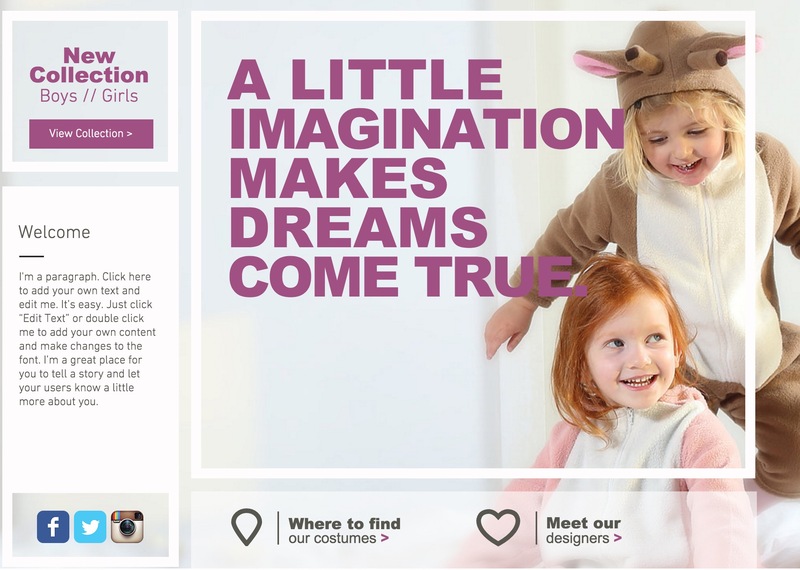 You’ll want to modify the background image if you are outside of the kid’s costume industry, however, that’s easily done via the template’s internal settings. The site also boasts a variety of responsive features, but the desktop version is better for viewing to save you having to manually adjust each and every design element available. 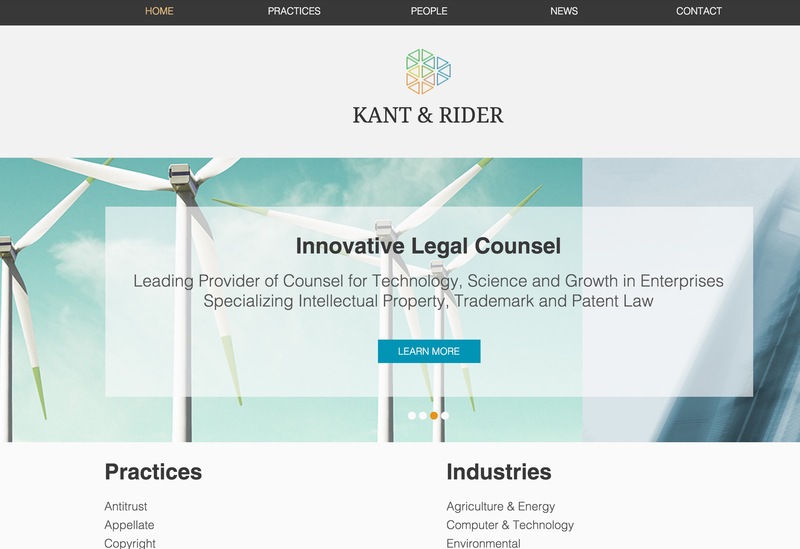 Whether you’re a professional paralegal, or if you’re simply working on a law-oriented site for a client; you won’t go wrong with the IP Law Firm template. It’s simple, stylish and elegant, with plenty of space for content, unique images and media in general. Even the navigation bar is eye-catching and appealing – making this template a great solution for professional service providers. Now here’s a great looking template that will do more than trigger a viewer’s appetite. 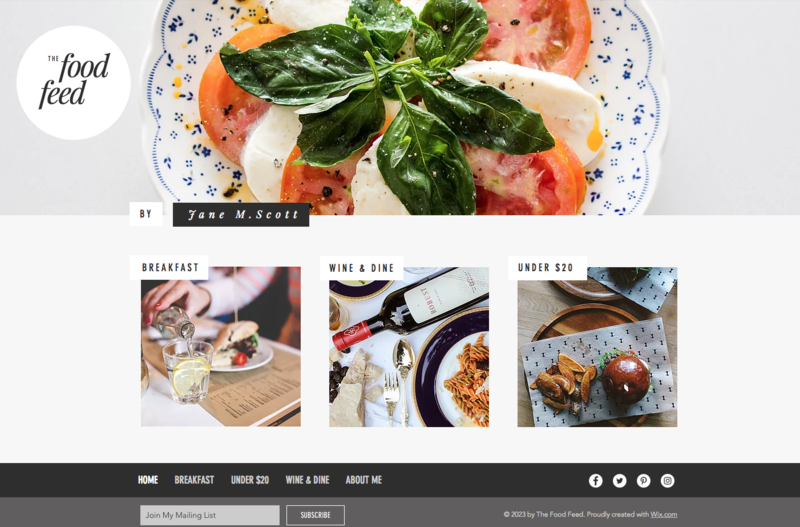 The Food Photography template is a great way to showcase culinary skills, promote a particular cooking product or utensil, or even explore the world of online recipes. Its simplistic layout makes browsing easy – meaning that an audience can spend more time checking out what’s on offer, and less time siphoning through masses of information. For all of the interior design enthusiasts out there (or for those with a general interest in the niche), the Interior Design Portfolio template is a must-check. The background image provided within the template is pretty compelling on its own – but that doesn’t mean that you couldn’t include your very own work to really personalize the layout. Overall, it’s a stylish template that carries a message without delay. The traditional ‘emotional’ background cover is popular for a reason – and music artists everywhere will have tried to replicate the effect at one point or another. 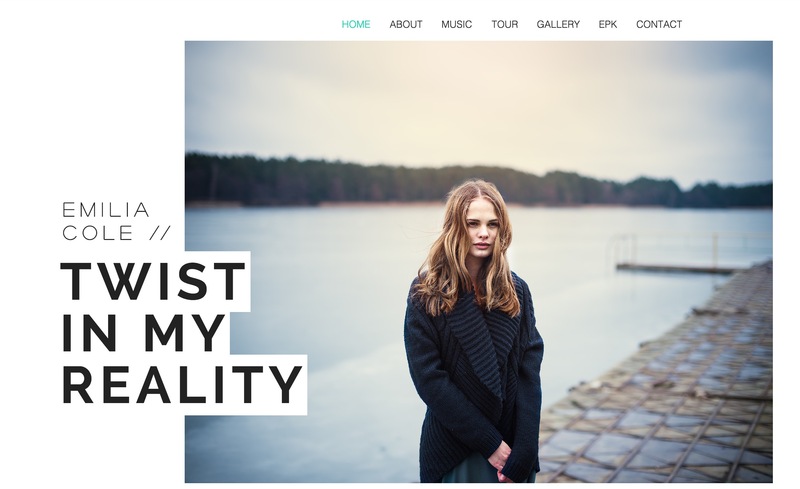 With a subtle, washed aesthetic and a uniquely complimentary layout too; the Music Artist template is a great way to promote a new talent, endorse a specific act, or even to advertise a major event. What better way to have your audience reserve a date, than with a stunningly simplistic invitation layout? 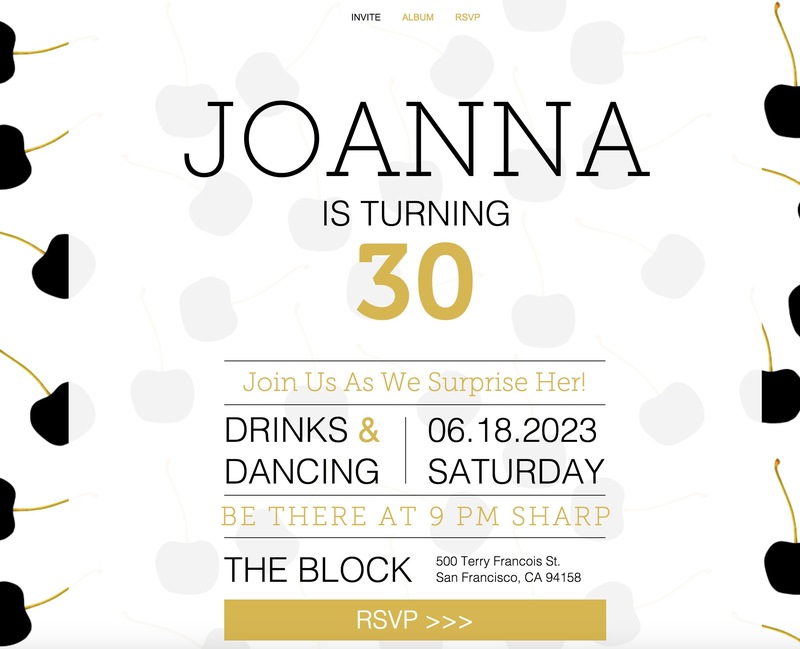 The Surprise Birthday Invitation might seem simple at first glance, but after careful inspection, it’s pretty clear that the unique visual elements will go a long way into enhancing the impact of a particular celebration or event. Whether you’re into fashion and design, or if you simply enjoy sewing – having a template like the Textile Studio to promote your works is a great way to go. You’ll find it easy to blog about your latest techniques whilst demonstrating your talents, thanks to the built-in blog page. The home page isn’t anything to scoff at either; it’s actually a fully responsive work of art that makes customization very easy. This template does everything that it says on the tin and more – and it’s as classy as it is glamorous. Whether you maintain an online apparel store, or if you’re keen to bring the latest trends directly to your audience – this template makes doing so as easy as changing jeans. 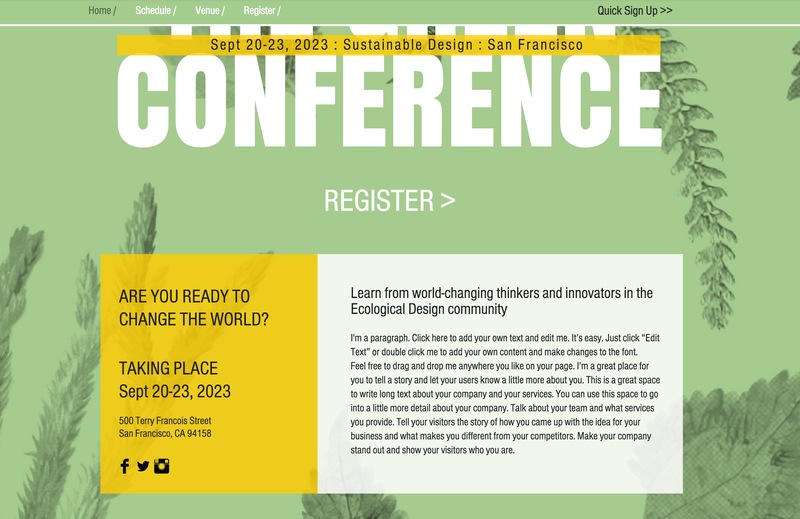 If economic living is something that appeals to you, then why not take a look at the Green Conference? It’s fresh, subtle and stylish enough to suit any type of industry or business – but where it really shines is in its ability to represent eco-services and products in a uniquely beneficial way. The color scheme aside – the layout makes it easy to portray a message, without having to spend hours developing the aesthetics yourself. Some of the biggest fashion writers got their start before the internet even existed. Now that anyone can become a journalist, we all have a leg up on the professionals who worked tirelessly to gain fame. 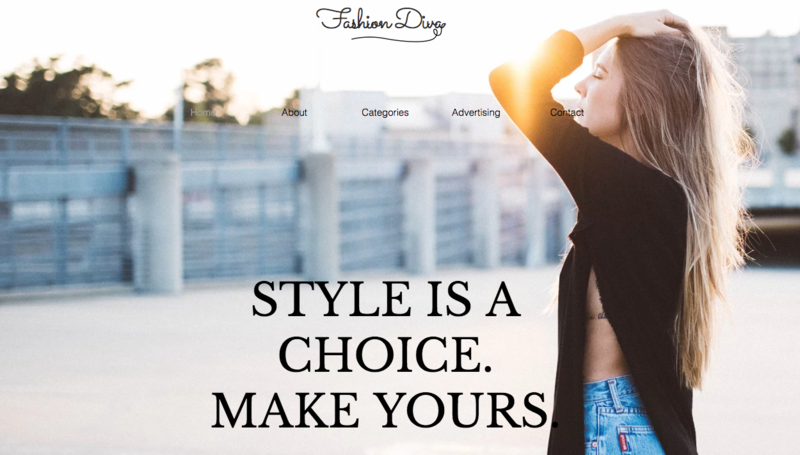 The Fashion & Style Blog theme from Wix makes it easy for you to make your mark online with content-focused features like a blog, large header images, social sharing buttons, and even a space for advertisements. Cover the world of fashion or document your own with this stylish theme. Sometimes the best websites come from the minds of original thinkers. 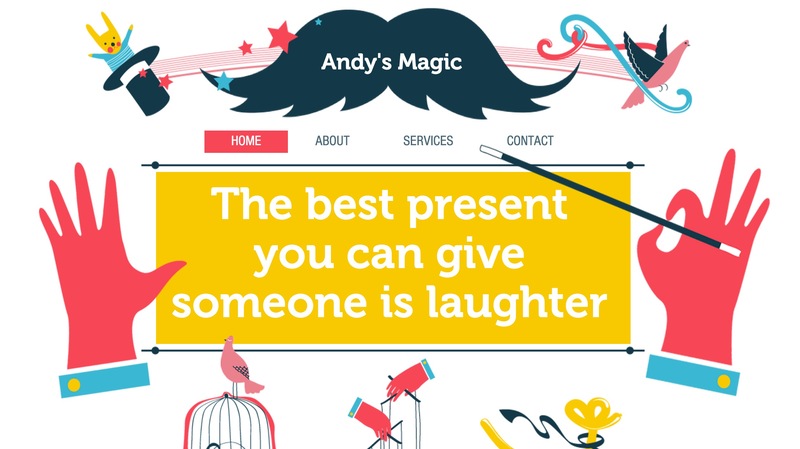 That is what makes the Strip Header Layout theme from Wix so appealing. Enabling users to essentially create a website from scratch, the template provides everything you need to begin working and nothing else. Great for personal or business websites and everything in between, Strip Header Layout provides you with unlimited possibilities. Now here’s a theme that we genuinely love to look at. 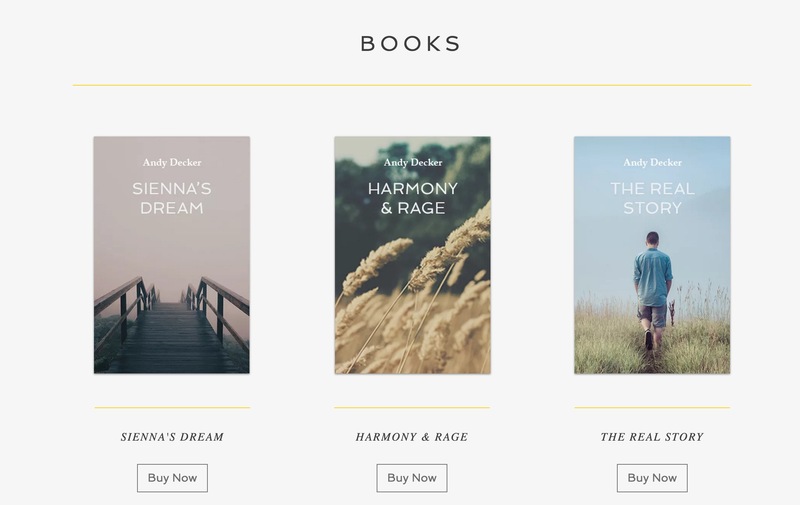 The By The Books theme would be great for use as an online bookstore, an author’s biography site, or anything relating to literature in general. The font is pleasant and the overall appearance is very friendly and compelling – making it an ideal platform for selling/ promoting a particular book or set of books or to simply blog as your mood takes you. Keeping it food oriented for a while now with our next theme, and the Italian Restaurant is every inch as stylish as it is modern. It doesn’t rely on your traditional red, green and white color schemes associated with Italy – instead, it opts for a dark, subtle approach that focuses on the quality and style of the food. It’s mobile responsive, can feature a range of pages and is completely free. We found this template incredibly creative, and you’ll appreciate the inclusion of pink and blue to give users a better idea of what they can expect from male and female alternatives. The banner area is a fantastic spot to introduce the audience to the music artist or band, but what we really enjoyed about this template was the sheer versatility of the categories. Nothing has to be left out. The Party Magician theme might not be everyone’s cup of tea – but it will definitely suit those in the magic business. 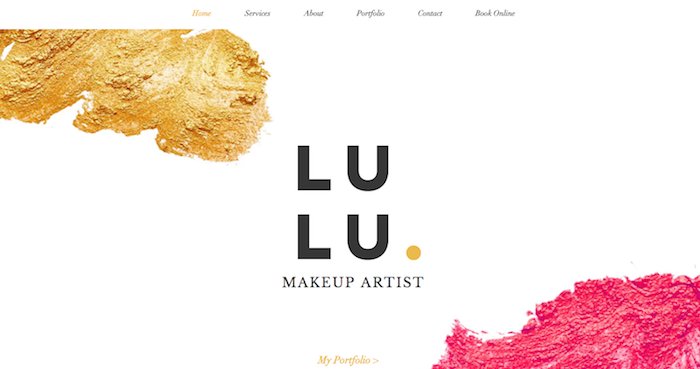 Whether you’re a performer yourself, or if you’re creating the site for a client; this site is every inch as creative as it is enjoyable to look at. You might want to leave the vector graphics where they are to avoid a blank screen – but everything else on the site can be customized. 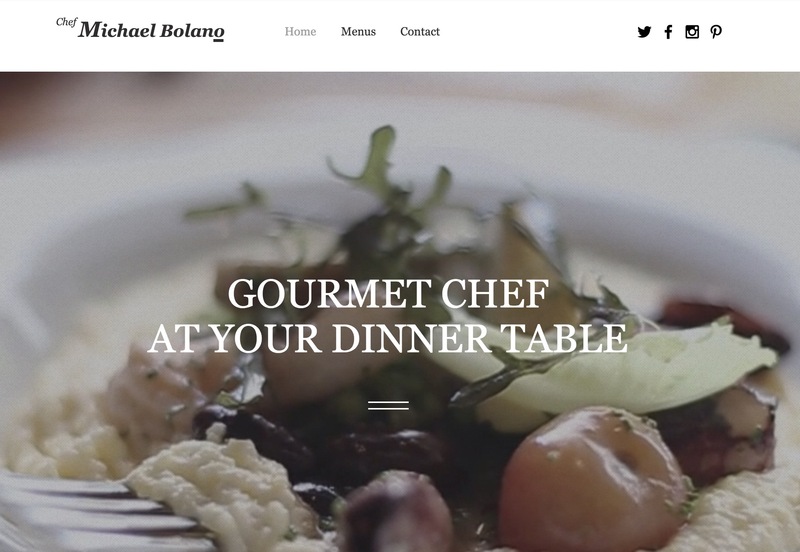 We couldn’t cover restaurant-inspired themes without at least mentioning the Gourmet Food Shop template. This one is a lot more about the power of food and so the imagery has been customized to reflect that. From olive oil to tinned batches – the images are already there, so all that you’ll need to do is add your own branding and logos, and the rest will speak for itself. This theme is also responsive for an even better audience experience. If you’re into fair trade products or organic goods in general, then take a look at the Herbal Shop. Not only is it suitable to the above niches – it’s actually pretty multipurpose as far as the overall layout goes. Consider switching the images up and you’ll have a responsive website format that suits products, services, or general news items. There’s room at the top for your logo too, so branding isn’t difficult. 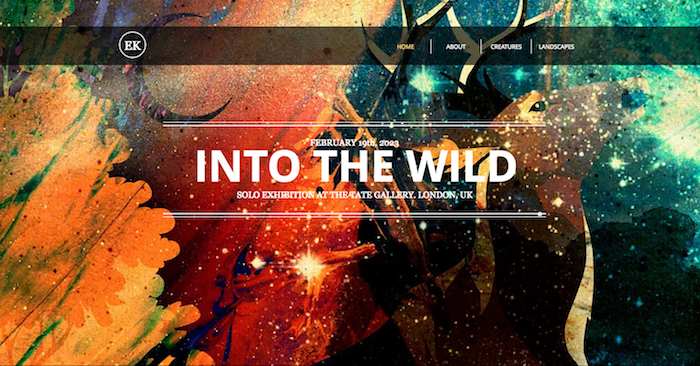 Now here’s an eye-catching theme that will have viewers engaged from the second that they visit the site. 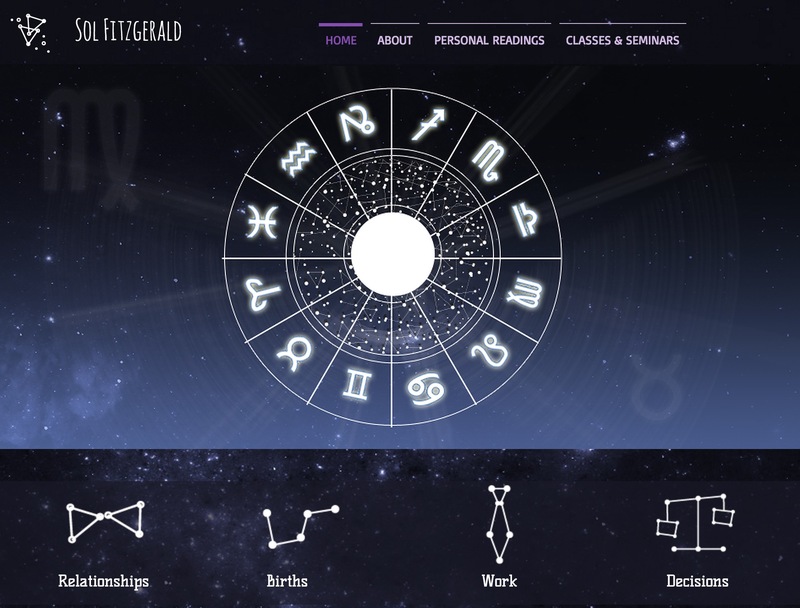 The Astrologer theme will only be suited to aspiring astrologists and enthusiasts, but considering the niche is millions-strong, that’s hardly the smallest audience. The theme supports HTML5 as standard and can be customized from the ground up; making it amazingly simple to implement your own features and functions without having to spend hours modifying bits and pieces. 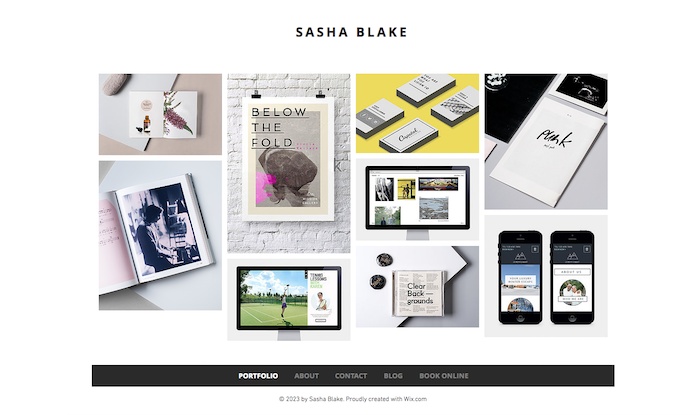 If you have something that you’d like to draw attention to, then Wix themes don’t come much better than the Art Director Portfolio. It’s responsive and can feature a variety of images, and thanks to the built in HTML5 compatibility, there’s no reason why you couldn’t implement any number of features, content and more. This template is also free, so giving it a go has never been easier – especially if you’re on a limited budget. 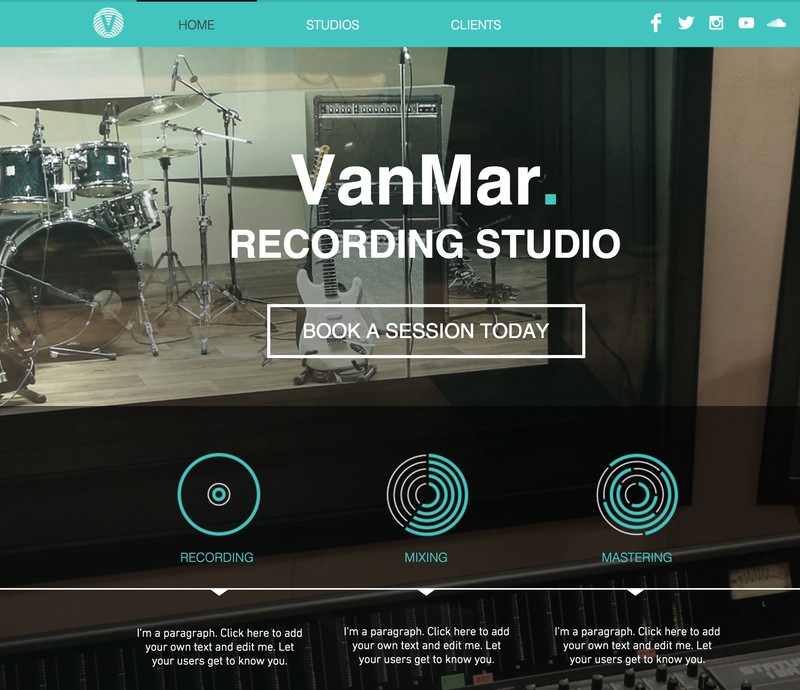 All musicians could stand to benefit from a great website, and considering the Music Artist theme now boasts ecommerce features, live audio functionality and general talent showcasing – it’s a no brainer if you like the look of the template. The color scheme is a little restricted, but it’s still fresh and vibrant enough to portray a particular message. The HTML5 options actually make customizing a little easier, so try it out. Now, here’s a great looking theme that emanates style and quality without even trying. If you overlook the image used on the background and focus on the layout itself, you’re presented with a great looking layout that could cater to a variety of needs. 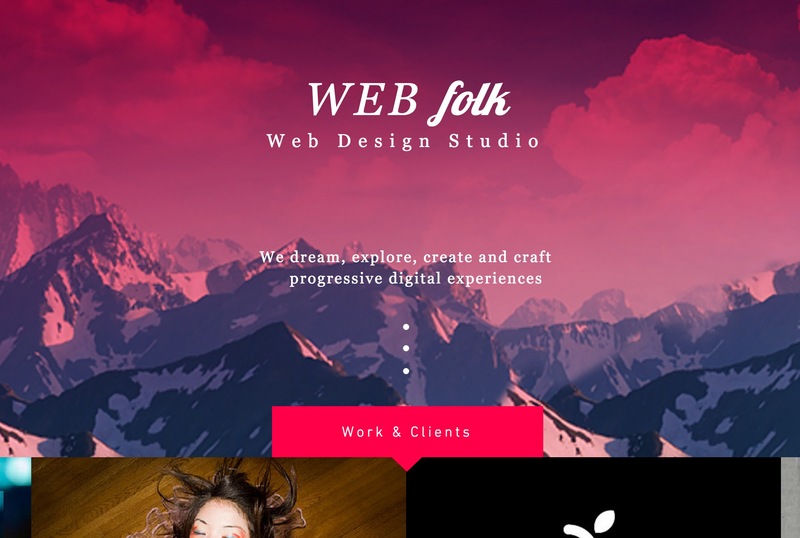 This theme is clearly better suited to a technological niche, but if customized via the HTML tools there’s no reason why it couldn’t reflect a variety of industries. Great and functional. We’ve seen hundreds of unique looking design themes over the years, but the Web Design Studio theme still managed to stand out from the crowd. Not only does it comprise the perfect blend of formatting, functionality and usability – it also looks fantastic, too. If you decide to change the images in favor of your own then that’s no big deal as the layout will still be enjoyable to peruse and easily modified. Who doesn’t love palm trees? 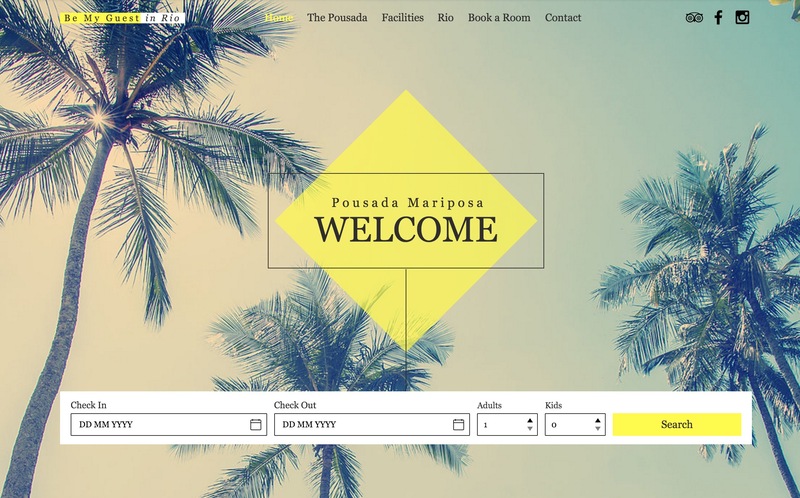 We have to admit that changing the wallpaper of this theme may be detrimental to the overall vacation-atmosphere provided within the template, but that doesn’t mean that you can’t adjust the color scheme and fonts via HTML. The site itself is aimed at those hoping to book a holiday destination, and as the search input fields can be customized, you could use the site to suit any niche that you like. This theme is incredibly stylish – and not just because of the pouting woman. It’s fun and exciting and has plenty of space to feature pretty much any product that you like. The template has a focus on optical products as its name suggests, but you’ll be free to do what you like once downloaded. The HTML5 features make modifications easy to handle for new users and experienced programmers hoping to maximize the general appearance. 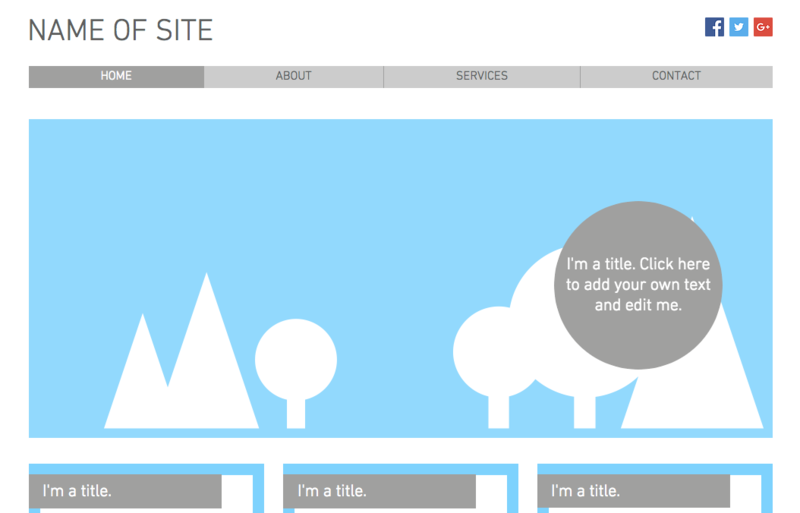 We already mentioned how much Wix love their food-themed templates, but this one really takes the biscuit. The Private Chef theme is the epitome of elegance – and not just because of the tantalizing background image. The overall feel of the template is one of style and expertise – something that all private chefs will want to emanate. The fonts can be customized, as can the color scheme, although we really enjoy the clean white look. 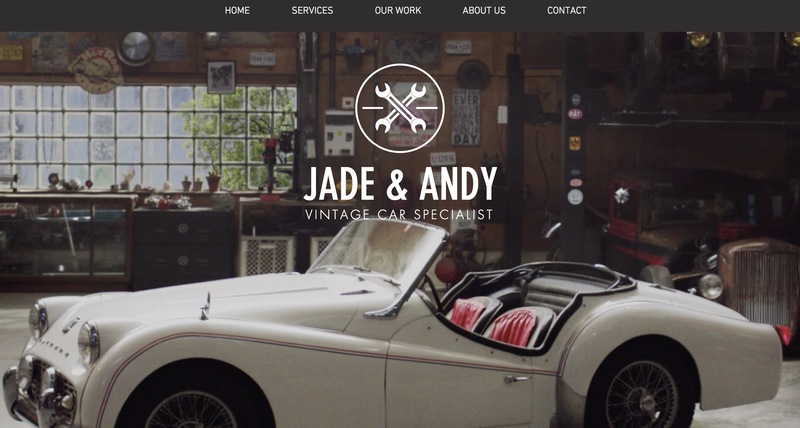 Another industry specific template now, this time with the Vintage Car Garage theme. You can ignore everything barring the layout, as you’ll most likely want to remove the background image in favor of your own. The fonts can be adjusted, as can the position of the focal icons. The upper navigation can be modified to suit your preferences too, and you’ll undoubtedly enjoy the addition of the social media icons that promote your online presence. 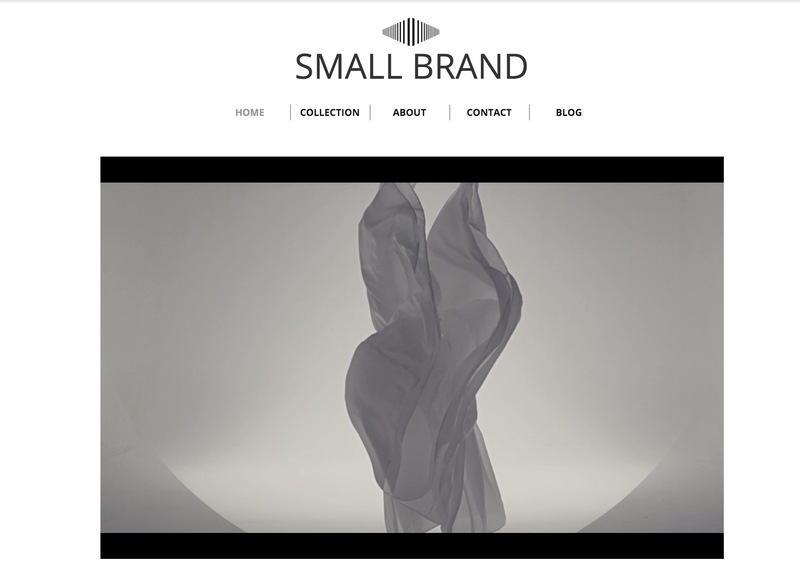 Not everyone has lots to say – and if you aren’t too bothered about the power of content as far as your website’s online visibility goes, then you may want to check out the minimalistic approach afforded by the Small Brand template. The main focal point revolves around a central video, and this could be used to introduce your audience to your services, promote a particular product; or simply showcase a video. 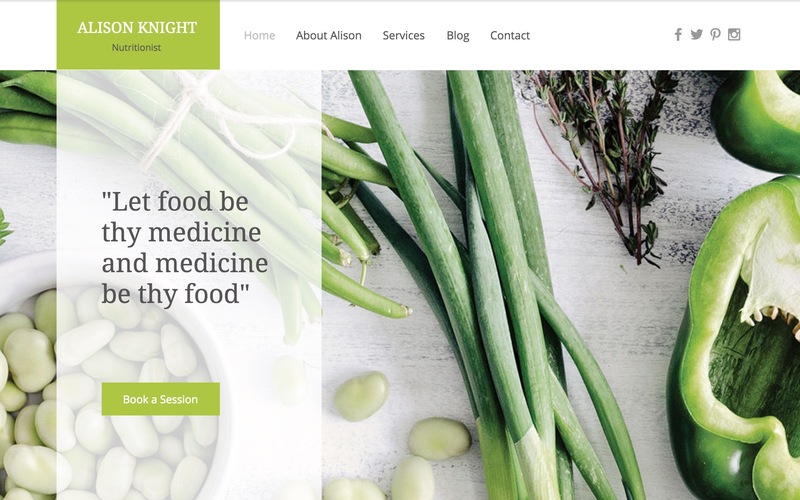 If you’re a fan of templates that takes off all of the hard work for you, then take a look at the Dietician theme. It’s responsive and comes pre-loaded with a unique set of visuals that make it clear what your website has to offer. The HTML5 compatibility makes it easy to modify the text, adjust the effects and generally modify the overall feel of the site, but you could simply leave the images well alone. 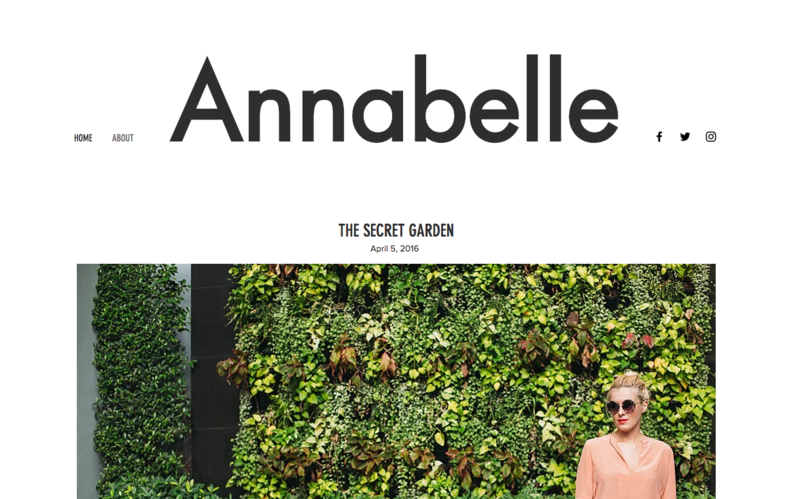 Not all fashion websites have to showcase a huge wallpaper that dominates the aesthetics. 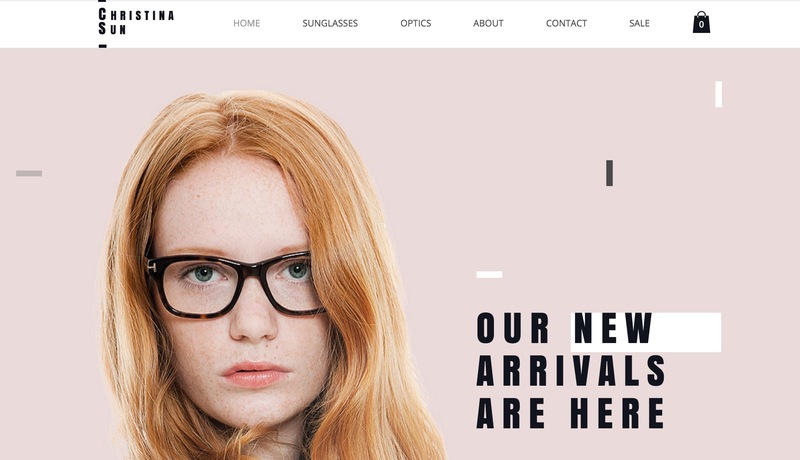 The Fashion Boutique theme strays from this normality and provides designers an improved way to personalize their sites. The neatly situated navigation bar is a pleasure to peruse, and the organized squares make it an amazingly easy task to flip between images that showcase apparel, and content that promotes what you have to offer. Inns, hotels, and leisure centers will instantly recognize the potential of this theme, and it takes care of all of the necessities with minimal fuss. Booking section? Check. Stunning background image. Check. Neatly arrange navigation bar? Check that, too. The color scheme might be a little dependent on the background photo – but easy enough to deal with if you already have a few classy images at your disposal. It’s responsive too, for a better usability. Aspiring music artists rejoice – here’s a template that will portray your message instantly, and without the need to bombard your audience with audio as soon as the website loads. 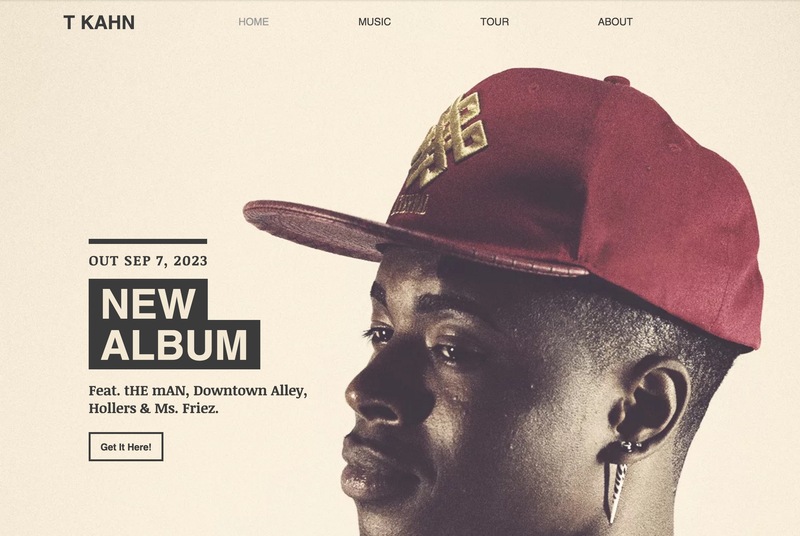 The Hip Hop artist oozes style from every orifice, and as if that wasn’t enough – it’s also fully responsive and boasts complete HTML5 programmability. The image can simply be switched out for your own and the rest falls into place. The Author Site template isn’t your everyday biographical page – it is passionate, engaging and interesting as standard. That’s with the current background used, so imagine what can be achieved by mixing up the background a little, or by modifying the title fonts. The world is your oyster as far as this template is concerned, and it would suit established authors just as much as it would occasional writers – so check it out now. We’ve reached the end of our list. The above are just some of the few Wix templates available online. Whether you’re a professional service provider looking for a reliable theme that emanates what you do in a matter of seconds, or if you’re a creative spirit keen to showcase your talents whilst supporting the environment – we hope you have found a design to your liking. Always remember that the templates are simply there for reference – and as far as we are concerned; there’s genuinely no limit on how creative your website design project can be. Give a template or two a try, see how they work out for your preferences and then sit back and enjoy the results – after all, most of these templates are free to use. So, so glad that the Eco template was here. My colleagues keep telling me that there are better options around, but I consider this theme to be one of my go-to’s. It might be eco-oriented, but it’s not limited like many people think. I’ve designed fair trade sites, construction pages and a retail website with it, too. It’s the template that you’re using people, and there’s no reason to stick to it if you’d prefer to customize or introduce your own approach to your design. Hi and thanks for the informative post. 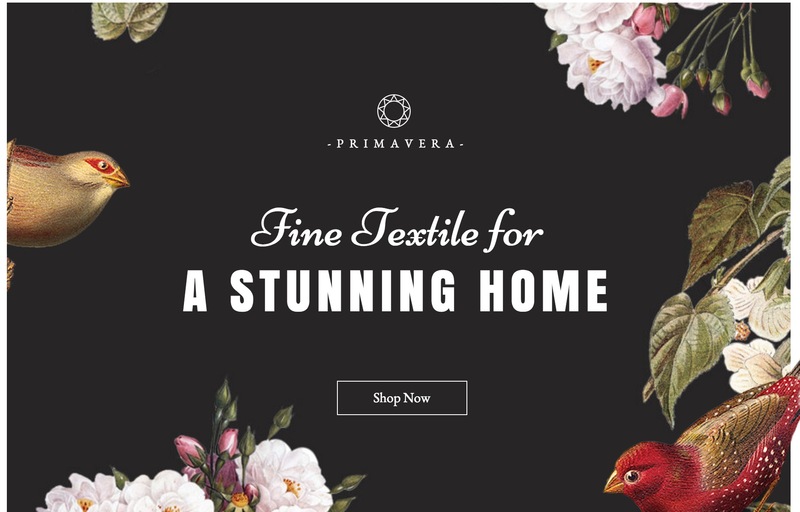 Question about the “fine textile” theme – you mentioned it had a built in blog but I don’t see one on WIX website sample of it. Can you point me to it? I am looking for a template that has a shop feature as well as a blog. Thanks so much!